Before we talk about this this bowl of California Avocado Oatmeal with Coconut Milk, Brown Sugar, Soy Sauce, Green Onion, Sesame and Chia Seeds, let’s talk about a short stack of pancakes, two eggs over medium and three strips of crisp bacon. Two fluffy buttermilk pancakes with melting butter and warm maple syrup. Two perfectly cooked eggs with set whites and runny yolks. And three glorious strips of bacon, bacon, bacon. Hungry for that sweet and savory, belly busting, grand slam of a breakfast that will fill you up for hours but make you instantly sleepy? 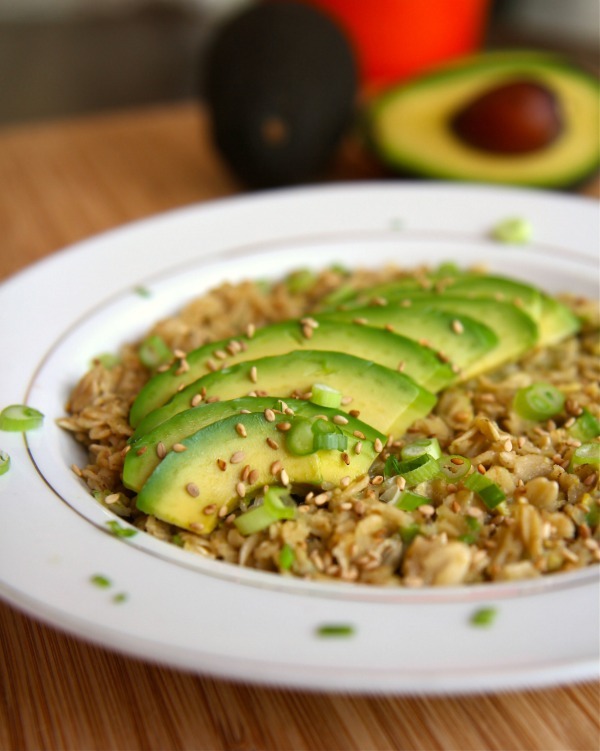 Now how about that bowl of California Avocado Oatmeal with Coconut Milk, Brown Sugar, Soy Sauce, Green Onion, Sesame and Chia Seeds? It’s sweet and savory AND it will fill you up for hours WITHOUT making you sleepy. It’s vegan and gluten free* if you care about that stuff. 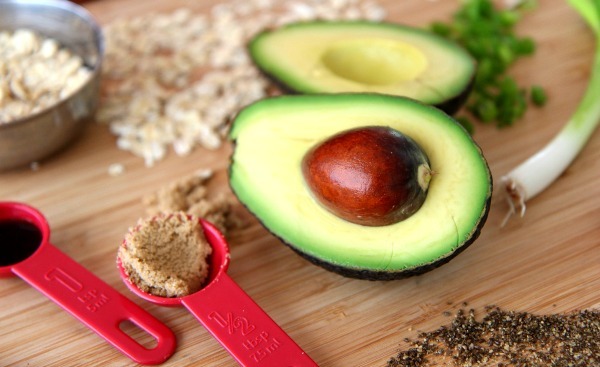 It’s loaded with good things like fiber, potassium, Vitamin E, B-vitamins, folic acid and Omega 3. You can also eat California Avocado Oatmeal every morning for breakfast and still fit into your yoga pants. Makes 1 serving oatmeal. Consider topping with a fried egg or Sriracha hot sauce for en extra filling treat. *If concerned about gluten free, make sure oats and soy sauce are certified. 1) Mash 1/2 of the California Avocado and slice the other half. 2) Prepare oatmeal in either microwave or stove top according to package directions using coconut milk, water, soy sauce and brown sugar. 3) Stir in mashed avocado and chia seeds to prepared oatmeal. 4) Garnish with green onion and sesame seeds. 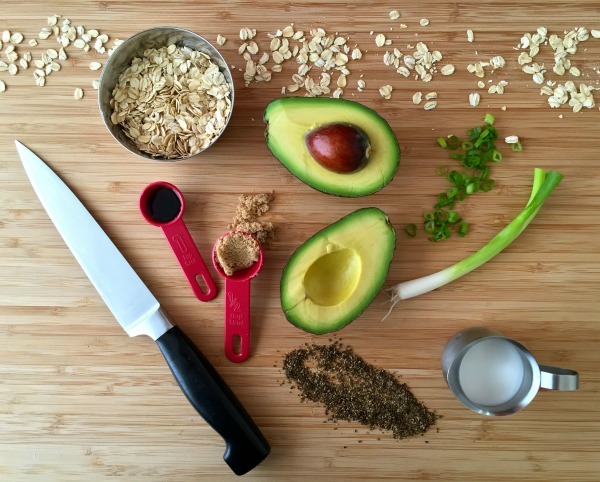 The Average Betty Test Kitchen developed this recipe on behalf of the California Avocado Commission. At first sight I wasn’t sure. LOL But I am really interested in making this breakfast tomorrow. Interested in seeing what my son thinks about it.